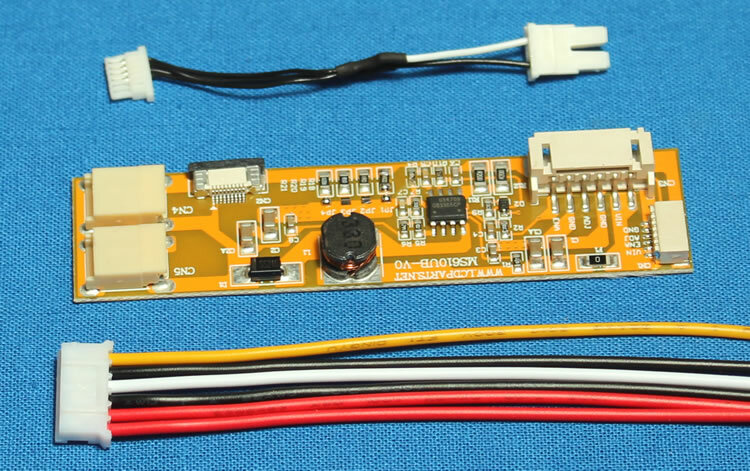 This new SHLP-06V-S-B_120MAMS610UB1R2 LED driver comes with one six pin pigtails connector and one wire adapter. The length of LED wire is about 12" long. So you can directly plug in into your LCD screens that list below. 90 days warranty. Easy to install! Anyone can do it!